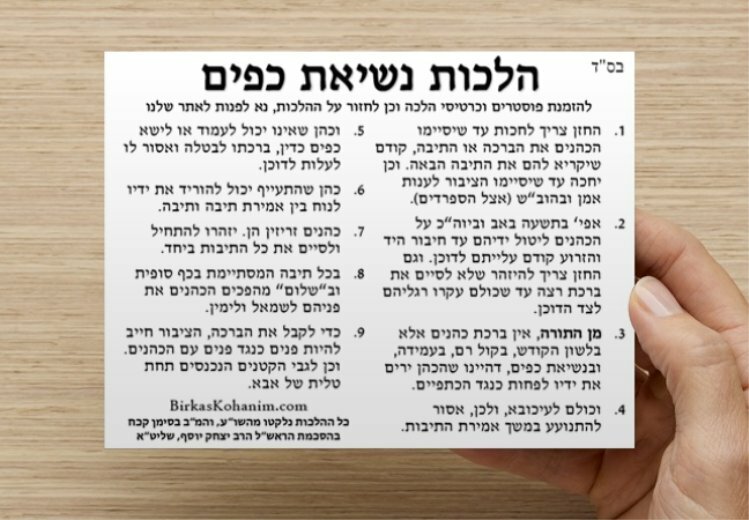 With hope to encourage proper fulfillment of the Mitzvah throughout Klal Yisrael, we request that you post the poster in your shul before each Yom Tov (or just every day, if you're Sepharadi), so that the Kehillah can learn the Halachot in advance. 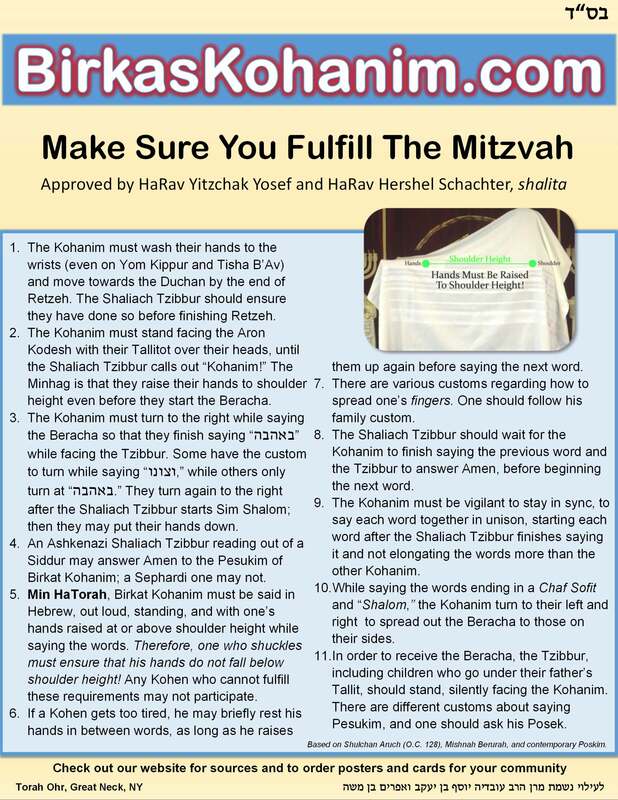 With the Beracha of Rav Yitzchak Yosef, the poster has been reviewed and approved by Rabbi Herschel Schachter, Rabbi Mordechai Willig, and Rabbi Eliyahu Ben Chaim, and the whole project was initiated by Rabbi Avraham Kohan, Rav of Torah Ohr in Great Neck, NY. The Halachot were gathered from the Shulchan Aruch, Mishnah Berurah, and modern day poskim like the Piskei Teshuvot, Halichot Shlomo, Yalkut Yosef, Halachah Berurah, and more, so they're entirely relevant and applicable to all members of Klal Yisrael. Join dozens of shuls across the world and print one today! 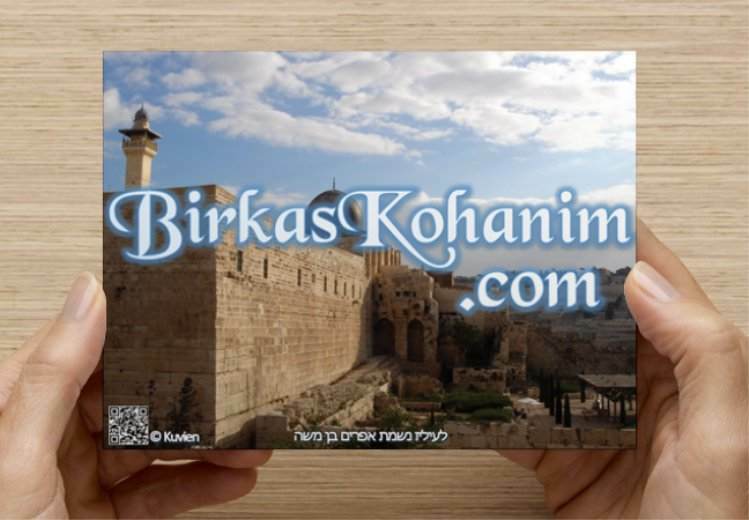 Additional special thanks to the National Council of Young Israel, Yeshivat Rabbeinu Yitzchak Elchanan, and our contributors for their tremendous involvement and support! Not everybody likes to stand and read a poster. 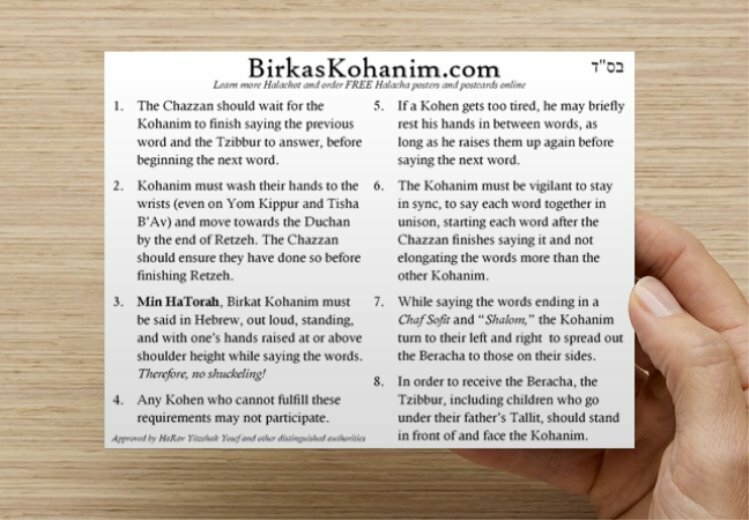 It's easier to carry around a handy reminder with the basics, so we made this postcard to give out to Kohanim and Chazzanim to have as a cheatsheet. Its size is suitable for safekeeping in a Tallit bag. Thousands have ben distributed to date.